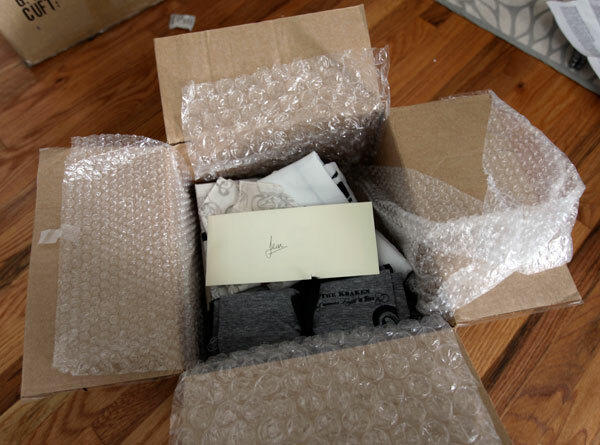 Here’s opening box 1 of 2 boxes and a tube that arrived… got to love the touch of a handwritten note! 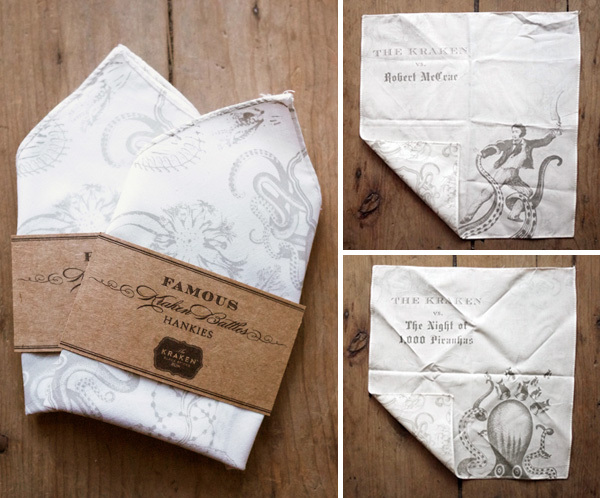 Ultimate gift for just about anyone this season? 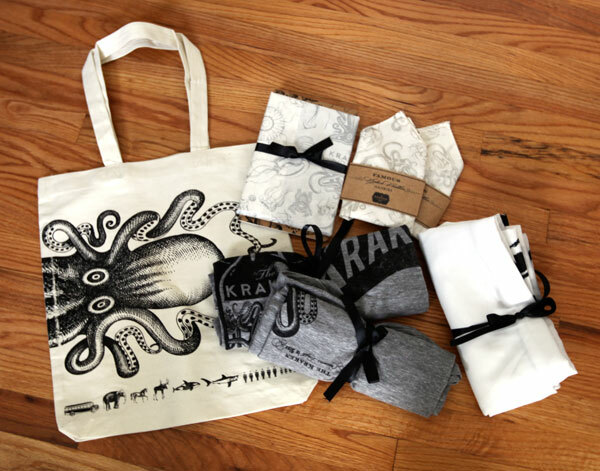 Limited Edition Kraken Gift Kit The unique set includes a long sleeve shirt (available in S, M, L or XL), Kraken scroll poster, genuine Kraken tooth, the famously amusing and informative book, and a DVD of Kraken stories! 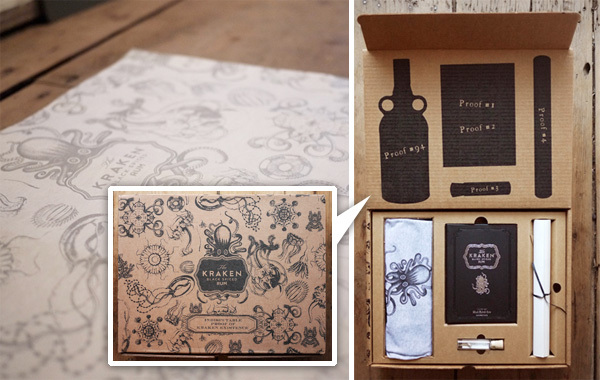 All items are packaged in a unique Kraken-print box… and for your other gifts, you can even wrap them in the Kraken Gift Wrap! 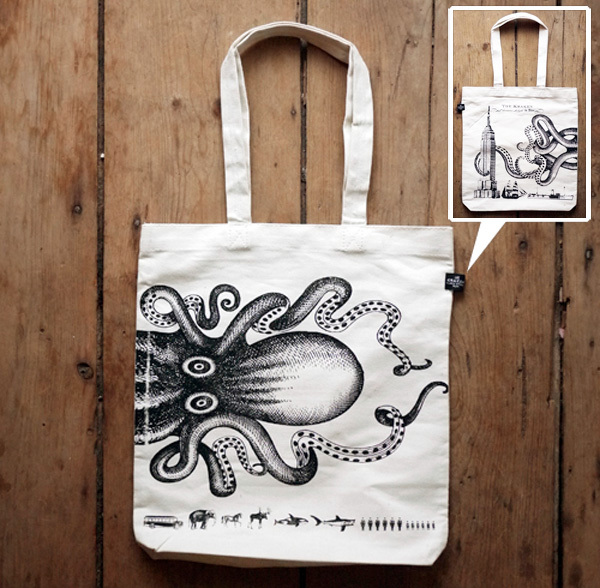 Kraken Tote Bag ~ groceries just got instantly more exciting. And just so we don’t forget… seeing as these products are quite awesome on their own… these are all inspired by one of the most delicious (and definitely the BEST packaged) rums! 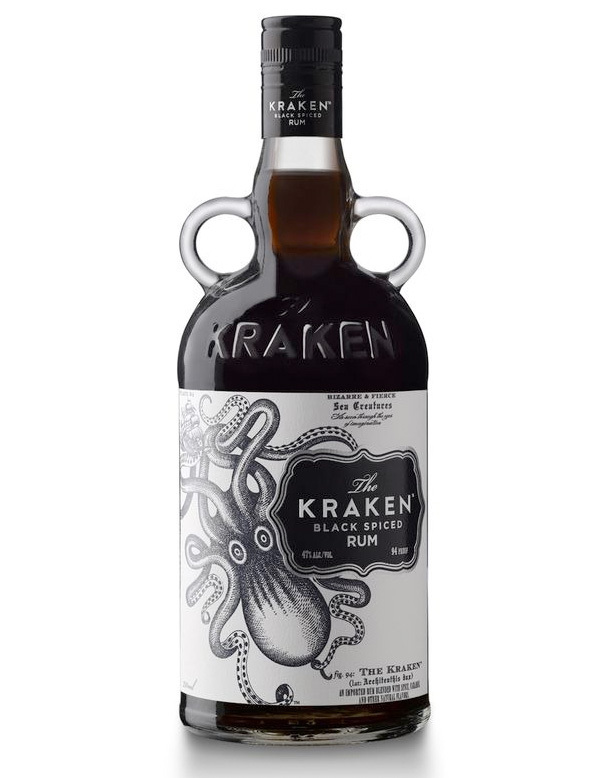 Kraken Rum!!! 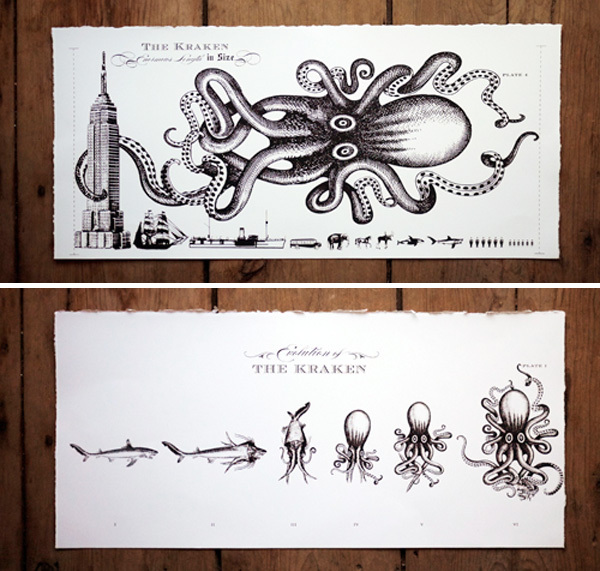 So when i found Kraken …wow !! 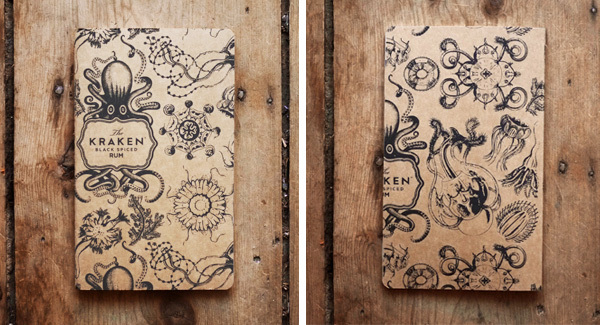 How can i buy your products ? T shirts , etc etc .. 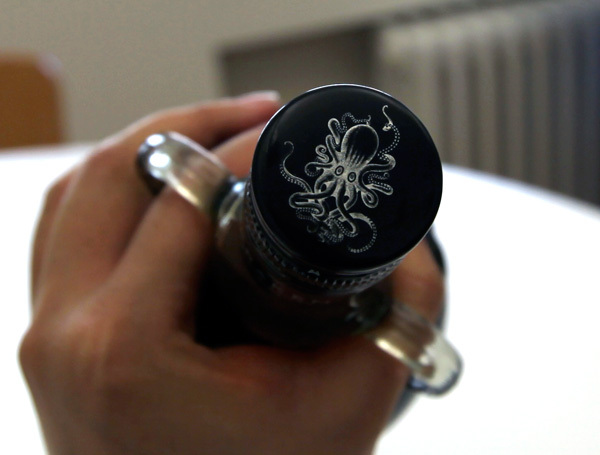 I want to drink that rum just based on the bottle. 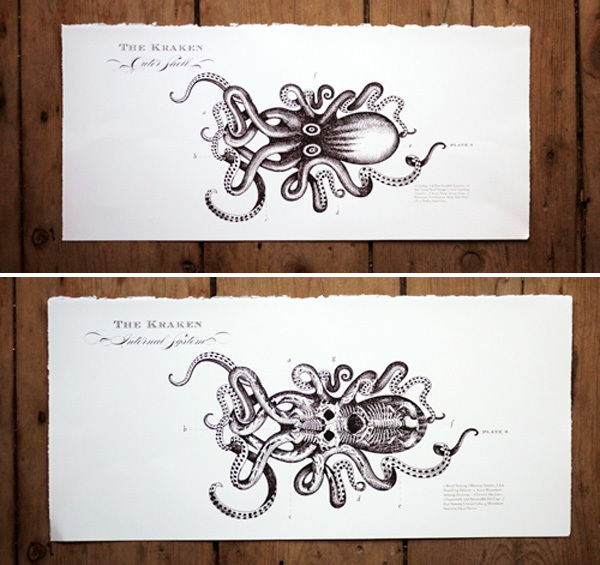 Just got the Release the Kraken Shirt, AMAZING design, love it! 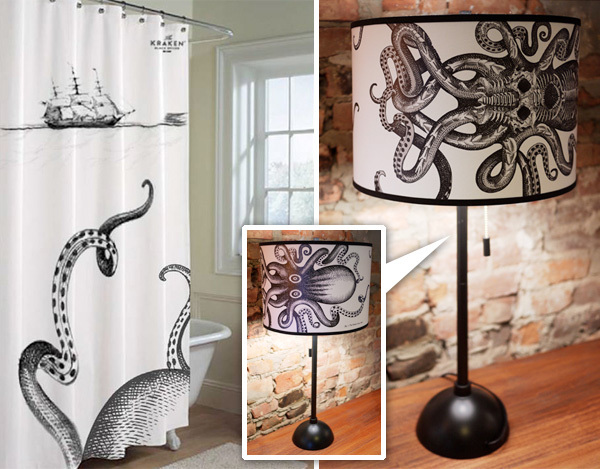 SO want that shower curtain! 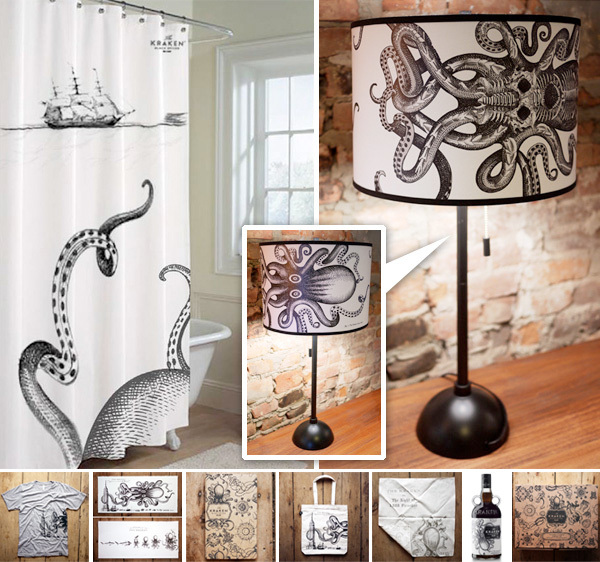 Added to Amazon Wish List, come on family - do the right thing! !